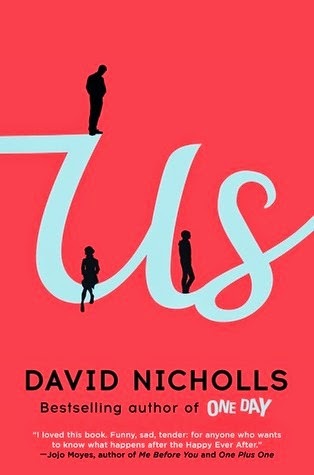 David Nicholls brings the wit and intelligence that graced his New York Times bestseller one day to a compellingly human, deftly humorous new novel about what holds marriages and families together--and what happens when everything threatens to fall apart. Douglas Petersen may be mild mannered, but behind his reserve lies a sense of humor that, against all odds, seduces beautiful Connie into a second date . . . and eventually into marriage. Now, almost three decades after their relationship first blossomed in London, they live more or less happily in the suburbs with their moody seventeen-year-old son, Albie. Then Connie tells Douglas that she thinks she wants a divorce. The timing couldn't be worse. Hoping to encourage her son's artistic interests, Connie has planned a month-long tour of European capitals, a chance to experience the world's greatest works of art as a family, and she can't bring herself to cancel. And maybe going ahead with the original plan is for the best, anyway? Douglas is privately convinced that this landmark trip will rekindle the romance in the marriage, and may even help him to bond with Albie. Narrated from Douglas's endearingly honest, slyly witty, and at times achingly optimistic point of view, Us is the story of a man trying to rescue his relationship with the woman he loves and learning how to get closer to a son who's always felt like a stranger. Us is a moving meditation on the demands of marriage and parenthood and the intricate relationship between the heart and the head. And in David Nicholls's gifted hands, Douglas's odyssey brings Europe--from the streets of Amsterdam to the famed museums of Paris, from the cafes of Venice to the beaches of Barcelona--to vivid life just as he experiences a powerful awakening of his own. Will this summer be his last as a husband, or the moment when he turns his marriage, and maybe even his whole life, around? My thoughts: This is the first book that I've read by David Nicholls. 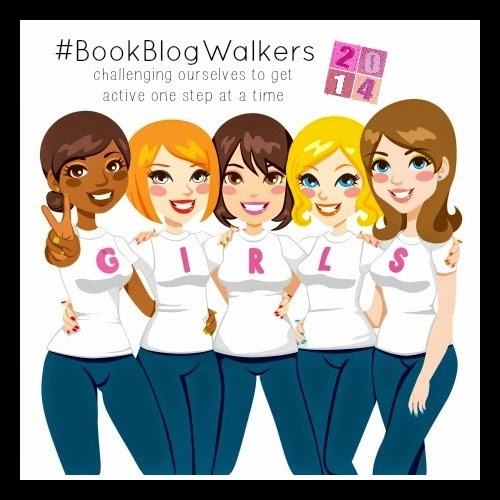 I was fortunate to get an advanced copy of this book at BEA this past spring and then when I saw that TLC Book Tours was doing a blog tour for the book, I jumped at the opportunity to be part of it. I really enjoyed this book. I found myself identifying with both Douglas and Connie at different times throughout the book. Marriage is not easy - even a good marriage, which I like to think I have, and I found myself reflecting on my own marriage and the courting period my husband and I had as Douglas reflected on his early days with Connie. How I could appreciate those long dinners and the constant holding of hands! And how quickly once the newness of the couple wears off, so, too, do all those charming small gestures. I could feel Douglas's love for Connie dripping off the pages. He desperately wanted to save his marriage and win her back, and thinks the vacation will help him out, but he tries so hard that he only ends up making things worse time and time again. Adding his already tenuous relationship with son Albie to the mix doesn't help. But, having Douglas as the narrator really helps you understand him and even sympathize with him in a way that had he just been a regular character would have had him seen as completely off-putting. He just wants to be seen as a hero to both his wife and son and yet is often seen as anything but by the two of them. I was also entranced with the writing in this book. I felt that many times I was right there with Douglas and Connie as they traveled across Europe. The descriptions of the villages and the museums and artwork were so vivid. Even the passages where they were on-board the trains - I felt as if I was traveling with them. This is a funny, heartwarming and even heartbreaking look at love, marriage and even family. I was captivated with the writing and will definitely be going back and reading more of David Nicholls' work. 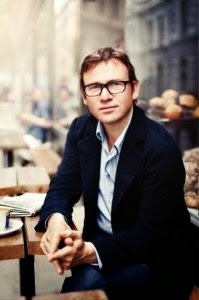 About the author: David Nicholls’s most recent novel, the New York Times bestseller One Day, has sold over 2 million copies and been translated into thirty-seven languages; he also wrote the screenplay for the 2010 film adaptation starring Jim Sturgess and Anne Hathaway. Trained as an actor before making the switch to writing, Nicholls’s previous novels include Starter for Ten (originally published in the U.S. as A Question of Attraction), adapted into a film starring James McAvoy, for which Nicholls also wrote the screenplay; and The Understudy. He continues to write for film and TV as well as writing novels and adapting them for the screen, and has twice been nominated for the BAFTA awards. He lives in London with his wife and two children. To see who else is participating in David Nicholl's Us tour, click here. I ended up with two copies of this amazing book which means that you, my readers, benefit! I am giving away one copy of Us. The only catch is that the giveaway book is an advanced reading copy (an ARC). 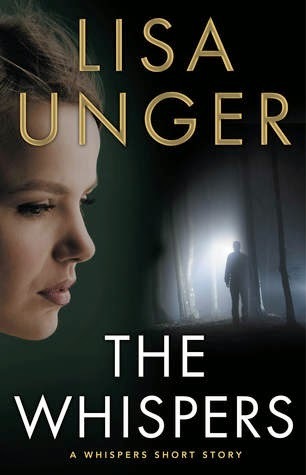 My thoughts: I am a huge fan of Lisa Unger's books. She writes amazing psychological thrillers that leave you desperate for more! This is the first of a three-series novella trilogy and what's interesting is that it is sort of a prequel to one of her earlier works, Fragile, which was the very first book I read by her. The Whispers introduces us to Eloise Montgomery who plays a critical role in both Fragile and Darkness, My Old Friend (both of which are excellent!!!). I enjoyed getting to know more about Eloise and how she came to have her "gift." We get a little background on Eloise prior to her having the gift and the event that led to her having it. This gift allows her to hear "whispers" or psychic visions of girls who need help. I readily admit that I am not a huge fan of the whole paranormal genre, but for some reason, the little bit of paranormal that's used here just works. Having it coupled as a means of dealing with a major loss makes it that much more acceptable to me. After all, people have many different coping mechanisms to tragedies. And, Eloise herself is quite suspicious of this gift, so she's not willing to capitalize on it. I am looking forward to continuing with this trilogy and getting to know more about Eloise and her gift. My only complaint so far is that these novellas are so short - you no sooner get into them and you are at the end. It's a very fast-paced story that you will absolutely read in one sitting! This past week was not the greatest...work is insane right now with our data deadline approaching at the end of the month. I've unfortunately been spending very long days at my computer and have only had time to take the dogs for quick walks - thank goodness, though, for the dogs because that is about the only think getting me moving right now!!! I at least got 30 minutes total of walking in each day, but not more much than that. Hopefully this coming week is the last of this crazy schedule. My thoughts: This is the third and final book in C.W. Gortner's Spymaster Chronicles series and it was another exciting read. I love all things Tudor and have read many books set during this time. Because of that, I find that I can really appreciate the historical aspects of the story without getting bogged down by who's who or what was going on. I can focus on and really enjoy the mystery that Gortner has created. This book picks up four years after the previous one, The Tudor Conspiracy, ends. Summoned home from exile now that Queen Mary is dead and Elizabeth has been named her successor, he is given a new assignment. But, true to form, Elizabeth only gives Brendan some of the details, leaving out quite a bit for him to figure out himself. Elizabeth has too much experience to trust anyone with too much information. He is asked to find out what happened to Elizabeth's lady-in-waiting, Lady Parry, but ends up finding so much more. I loved the setting and descriptions of Vaughan Hall - it was eerie and mysterious and the fog only seemed to enhance that. Even the inhabitants of the manor were strange and secretive. This all combined to create quite a sinister atmosphere, perfect for creating that mysterious element. What really strikes me with this book, and even the series as a whole, is how well C.W. Gortner is able to blend fiction with fact. He takes one or two events from history and then plays around with the rumors and scandals that were hinted at during the time, weaving a fun, yet interesting tale. This isn't the first time I've read about one of these supposed rumors, so maybe it wasn't really a rumor after all? 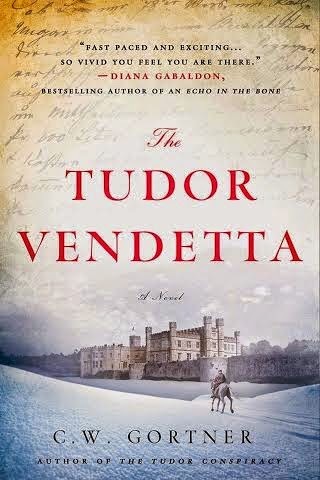 The Tudor Vendetta by C.W. 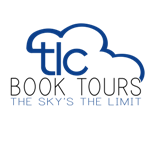 Gortner is on tour with Historical Fiction Virtual Book Tours. Be sure to check out the other tour stops to read more reviews, guest posts and some giveaway opportunities. Be sure to follow all the twitter activity, too at #TudorVendettaBlogTour and #HistoricalMystery. ***There is also a tour wide giveaway and the winner will be selected by the tour coordinator. The giveaway is for a complete set of the Spymaster Chronicles Trilogy (see list of books above)!!! The Rafflecopter giveaway can be found here. Former "It Girl" Janie Jenkins is acerbic, whip smart, and fresh out of prison. Ten years ago, at the height of her glamour and fame, she was incarcerated for the murder of her mother, a philanthropist best known for her string of rich husbands. Now, released on a technicality, Janie chops off her trademark hair, determined to chase down the one lead she has about her mother's killer. The only problem? Janie doesn't know if she's the one she's looking for. In an isolated South Dakota town whose secrets rival Janie's own, with the unwitting help of the locals, she pieces together a shocking picture of her mother's supposedly pristine past. On the run from the press, the police, and possibly even a murderer, Janie is forced to choose between the anonymity she craves and the truth she so desperately needs. My thoughts: Lately, I've found myself gravitating towards thrillers. 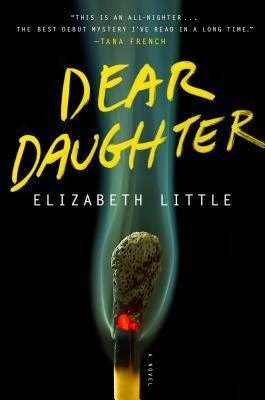 So, of course when I was given the opportunity to review Elizabeth Little's debut novel, Dear Daughter, I jumped at it, especially since it was in audio form. I loved that Janie/Rebecca is not the most likeable character - in fact, most of the time she is downright obnoxious. She's self-absorbed, snarky and sassy, yet she's also very clever and quite hysterical at times. But, there's just something about her that had me rooting for her throughout the book. Did she or did she not kill her mother? And why does she not remember that night this incident took place? These are the questions that kept me hooked on the book - I needed to find out what really happened. I will say that I did have a hard time keeping all the characters straight - who was who and who was related to who. Being that I was listening to the book, it was hard to go back to find out that information. I did find myself re-listening to certain parts just to make sure I understood the connections. The ending of the book is a bit open-ended. There is closure as to what happened, but we are left not really knowing what will happen next. In fact, I listened to the last part two times just to be sure I hadn't missed anything. Does that mean that Elizabeth Little plans to follow this book up with a sequel? Or are we to fill in the blanks ourselves? I really enjoyed this debut novel and can't wait to see what comes next for Elizabeth Little. Despite me not loving the main character, I can't seem to stop thinking about her...that must say something about the writing! Audio Thoughts: I thought both narrators did a great job with this book. Bonnie Dennison did all the story-telling and Tony Daniels did all the emails, court transcripts, TMZ reports, blog posts, etc that prefaced each chapter. Having separate narrators for these really helped set them apart. Bonnie was fantastic as Janie/Rebecca - she was really able to embody the perfect obnoxious, manipulative character that Janie/Rebecca was. Both of these narrators were new to me and I will definitely be checking out what else they have narrated. Despite how busy and crazy this week turned out to be, I ended up finishing a lot of books. It helped that some were short books plus I had quite a lot of time in the car when I had to drive down to my sister's in Delaware to babysit at the last minute - thank goodness for audio!!! The only bad part of finishing so many books in one week is that now I have that many reviews to write...oh the never-ending cycle! Another crazy week with an even crazier weekend, which is why this post is going up so late. One of these days life will slow down and get back to normal! 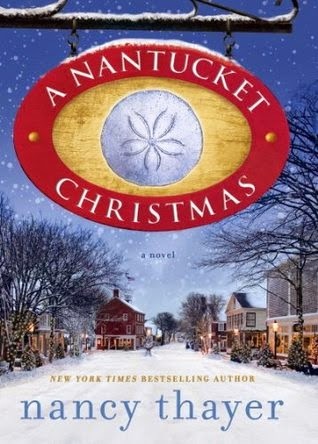 Known for her heartwarming observations of family life, New York Times bestselling author Nancy Thayer showcases her beloved Nantucket’s snowy off-season in this emotionally gratifying and utterly entertaining story. Holidays on this Massachusetts island are nothing short of magical, from the jolly decorations on the Brant Point lighthouse to the much anticipated Christmas Stroll, in which merrymakers promenade through quaint streets adorned with Yuletide cheer. The season’s wonderful traditions are much loved by Nicole Somerset, new to Nantucket and recently married to a handsome former attorney. Their home is already full of enticing scents of pine, baking spices, and homemade pie. 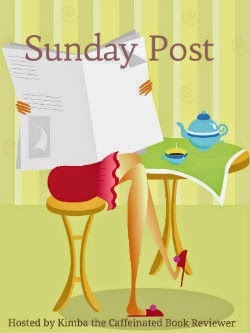 My thoughts: It seems that quite a few of my favorite "summer" authors have decided to also write holiday books - and you will certainly not be getting any complaints from me!!! Nancy Thayer is another author, like Elin Hilderbrand, who I mark the advent of summer by her latest book. This is Nancy's first holiday book, which actually came out last year. This was a great short holiday story that pulls you in right from the start. Focusing on family and all that it implies, the story will definitely get you in the holiday mood. It is a tale that sums up holidays all over; one that is filled with hope, strife, sadness, love and eventually peace. The characters are well-developed and I found myself either loving or strongly disliking them. Kennedy really got under my skin but I loved little Maddox and enjoyed his escapades with the dog. Having the story told from different narrators really allows you as the reader to get inside the minds of the different characters, thus making them feel more alive. Nantucket remains a place that I've only had the pleasure of visiting through books, yet each time I read a book set there, I'm even more determined to one day visit. I loved seeing this charming place during Christmas - the sights, sounds and smells were brought alive. I am anxious to visit again with Nancy's next holiday novel, which is due out in a few weeks! Audio Thoughts: Jocye Bean is one of my favorite narrators and I was thrilled to see she was narrating this book. Her voice is magical - she is able to create unique voices for her characters, even adding the necessary attributes to the characters to make them come alive. My thoughts: Each year, I mark the beginning of the summer with a new book by one of my favorite authors, Elin Hilderbrand. Imagine my surprise and delight when I found out that this year she would be publishing a Christmas novel to be released in the fall. And, I just happened to get my hands on an advanced copy at BEA where I was able to meet Elin and have her sign the book! This story is a beautifully written Christmas novel that will certainly get you in the holiday spirit. It centers around the Quinn family and takes place over the course of three days - December 23 through December 25, though there are some flash backs interspersed throughout. Instead of chapters, the story is told by the different members of the Quinn family, so it alternates back and forth amongst these individuals. I loved this way of telling the story as it really allows us to get inside each character to really understand them. The Quinn family is about to have a Christmas to remember, but not in a positive way. Everything that can go wrong, goes wrong, but there is some good that comes out of it - mainly that family is always there to bolster you up when you need it. The ending is somewhat bittersweet and leaves things a bit open-ended. 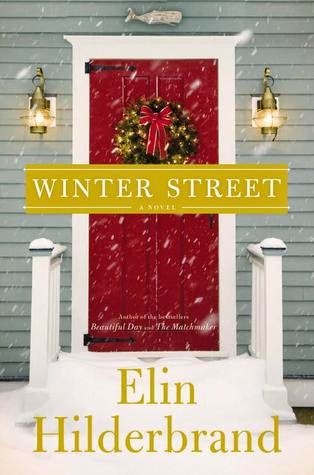 I wonder, as this book is quoted as being Elin's "first Christmas novel," if she writes more, will they be stand-alones as we usually get from her or if there will be a sequel to this book? I loved this little visit to Nantucket during the holidays. While most of the story does take place at the Winter Street Inn, we do get glimpses of the town itself. Throughout the book, Ava, Quinn's daughter, is asked to play Christmas carols and it definitely helps put you in that holiday frame of mind. Elin Hilderbrand shares that her favorite carol is "O Holy Night;" mine is "Silent Night." What's yours? 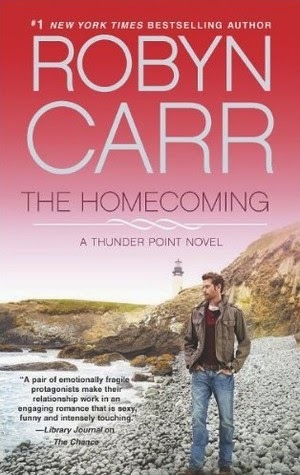 My thoughts: This is the 6th book in Robyn Carr's Thunder Point series and I just love this series. I love how she is able to take a serious issue and pair that storyline with a romance storyline - it just seems to balance itself out so that the book isn't too heavy on the romance or too heavy on whatever topic she chooses to explore. I will say I found this story to be more heartbreaking and heartwarming than the previous books. Primarily, this is Seth and Iris's story. They have quite the past and with Seth moving back to Thunder Point, that past begins to edge it's way into both their lives. In order to move forward, they need to address what happened, but it's clear that whatever it is that happened in the past - there is still something between them now. By providing the history between these two characters, it was easy to really empathize with both of them and understand their motivations. All the flashbacks were integral in building this up such that you could really feel their hurt and frustrations. The other storyline was a touchy one - it involved an abusive relationship going on at the high school. I think the reason this story worked so well is that Iris was involved as the school counselor, and Seth was involved as the new sheriff. It connected in a way that really brought the two stories together almost seamlessly instead of it feeling like two disjointed story lines. With each book I read in this series, I fall more in love with the town of Thunder Point. I wasn't sure if this was going to be the last book in the series, but I'm happy to say it's not. There are at least two more books to look forward to next year, both of which I have just added to my TBR list! Another crazy week work-wise which means that I had little time for reading. I'm also trying to get a jump on some of my Christmas presents - I'm making scarves for a few of my nieces and then I have a bunch of baby blankets to make for the new additions that should be making their appearances within the next month or so - a new niece on my husband's side and a new niece or nephew (they aren't finding out) on my side. A good family friend is having twins any day now, too, so as soon as those babies are born, I can start on their blankets! Lots to crocheting to do which competes with my reading time, but I can crochet while I watch my tv shows, so at least I feel like I'm being somewhat productive while watching those shows! * In Your Dreams by Kristan Higgins...Melanie B. Unfortunately, due to a crazy work schedule this past week, I didn't get to the gym at all. I did get my walks in and the dogs are really enjoying taking more walks during the day. Hopefully work will settle down and I can get back to my regular fitness routine. I really need to get back to doing some long walks again!!! Oct 4: helped move my sister - lots of up & down the stairs for a total of 51 floors!!! Oct 5: more moving - another 31 flights of stairs - my legs were definitely feeling it! My thoughts: This is one of the four books that the She Reads gals selected to be part of the "Books of Fall" book club selections and I was thrilled with this particular choice. I had read Lisa Jewell's last book and really enjoyed it, so I was looking forward to this one. What I've found with Lisa's books is that they are great character sketches. She really explores the dynamics of relationships, in this case the relationships between a family that has had to deal with an unexpected tragedy. But it's not just the tragedy that's highlighted here. She also looks at the dysfunction that exists within this family. The story alternates between the present and the past, filling in bits and pieces of the overall story much like memories that come back to us when we see a certain object. It is through these memories that we really get to know the Bird family. The emotions that Lisa is able to elicit in her writing are so raw that I felt as if I was celebrating the happy occasions with the family as well as feeling their sorrow during the sad times. And then there was Lorelei...right from the beginning you pick up that she is a hoarder. She keeps everything and it only gets worse as time goes on. This is what has stayed with me the most since finishing the book. What makes someone become this way? But what I find most fascinating is that Lisa presents the topic of hoarding from both sides. At times, I found myself relating to Lorelei and her thought processes and believe me, I am most definitely not a hoarder! This is a great read, one that I found myself thinking about when I wasn't listening to and completely engaged in while I was listening to it. The characters all seemed relatable and the story really made me think about the relationships I have with my own family. Another winner by Lisa Jewell and now I can't wait to read her other books! Audio thoughts: This is the first time I've listened to Karina Fernandez narrate a book and I thought she did a great job with all the voices and different accents. She was delightful to listen to and I will certainly be looking to see what else she has narrated. 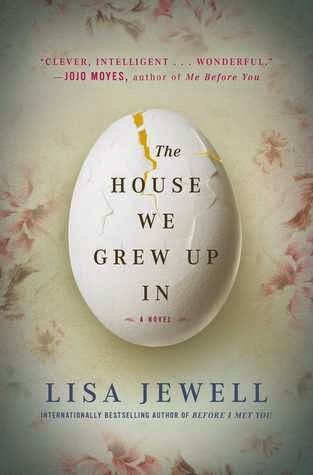 The House We Grew Up In by Lisa Jewell is one of the She Reads "Books of Fall" reading selection picks. Head over to the She Reads website to read reviews and related posts of this book, as well as to see what the other "Books of Fall" are. 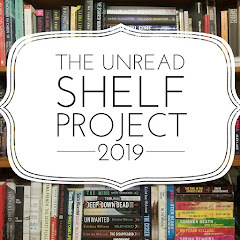 Last February, I read The Wife, The Maid & The Mistress by Ariel Lawhorn when it was selected as the monthly book club pick for She Reads and I really enjoyed it! You can find my thoughts on the book here as well as see what the hardcover edition looked like. Yesterday the book was released in paperback with a sassy new cover. I don't know about you, but I am loving this new cover!!! A tantalizing reimagining of a scandalous mystery that rocked the nation in 1930-Justice Joseph Crater's infamous disappearance-as seen through the eyes of the three women who knew him best. After 39 years of necessary duplicity, Stella Crater is finally ready to reveal what she knows. Sliding into a plush leather banquette at Club Abbey, the site of many absinthe-soaked affairs and the judge's favorite watering hole back in the day, Stella orders two whiskeys on the rocks-one for her and one in honor of her missing husband. Stirring the ice cubes in the lowball glass, Stella begins to tell a tale-of greed, lust, and deceit. As the novel unfolds and the women slyly break out of their prescribed roles, it becomes clear that each knows more than she has initially let on. 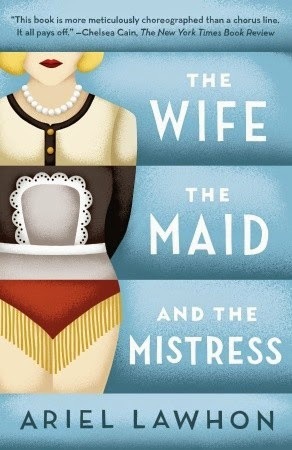 The Wife, The Maid and The Mistress by Ariel Lawhon is one of the She Reads "Books of Fall" reading selection picks. An enthralling literary debut that evokes one of the most momentous events in history, the birth of printing in medieval Germany - a story of invention, intrigue, and betrayal. Youthful, ambitious Peter Schoeffer is on the verge of professional success as a scribe in Paris when his foster father, the wealthy merchant and bookseller Johann Fust, summons him home to corruption- riddled, feud-plagued Mainz to meet "a most amazing man." Johann Gutenberg, a driven and caustic inventor, has devised a revolutionary - and, to some, blasphemous - method of bookmaking: a machine he calls a printing press. Fust is financing Gutenberg's workshop, and he orders Peter to become Gutenberg's apprentice. Resentful at having to abandon a prestigious career as a scribe, Peter begins his education in the "darkest art." As his skill grows, so too does his admiration for Gutenberg and his dedication to their daring venture: printing copies of the Holy Bible. But when outside forces align against them, Peter finds himself torn between two father figures - the generous Fust and the brilliant, mercurial Gutenberg, who inspires Peter to achieve his own mastery. Caught between the genius and the merchant, the old ways and the new, Peter and the men he admires must work together to prevail against overwhelming obstacles in a battle that will change history - and irrevocably transform them all. My thoughts: I first heard about this book at BEA this past Spring during HarperCollin's Fall Preview event. As an avid reader, I knew when they were highlighting this book - a book about the first printing press - that I had to read it. I was fortunate to get an advanced copy and then, when TLC Tours sent out the fall tour list, I jumped to be part of the tour for this book. Despite having a print copy of the book, I chose to listen to it due to time constraints and found it to be a rather enjoyable listening experience. I admit that I had little knowledge of how the printing press came to be. I had heard of Gutenberg's name before and that he was associated with the press but did not know that he was not in it alone. This book shows that it was really the work of three remarkable men - Gutenberg, Johan Fust, who was the financial backer of the project, and Peter Schoeffer, Fust's foster son, who becomes Gutenberg's apprentice. The story is told from Peter's point of view and spans the four years it takes to print what later becomes known as the Gutenberg Bible. I was fascinated by the details of the printing process. Finding out that Christie herself is a letterpress is even more impressive. She painstakingly gives us the trials and errors that Peter and the men went through to get the pages to look just right. No wonder it took so long to print just 180 copies of one book! I think this is the type of book that I plan to hang on to and possible reread. Since I listened to it the first time around, I think I might read it next time, just to enjoy the beautiful layout if nothing else. And, I would definitely love to see a copy of the Gutenberg Bible - 48 copies still exist! This is what I love about reading historical fiction - it makes me want to either read more about a certain topic, or in this case, it has me wanting to search out a piece of history. Audio Thoughts: This is the first time I've listened to Robert Petkoff narrate a book. I thought he did a great job telling the story and giving the characters unique voices. He kept me engaged in the story and I would definitely consider listening to him narrate again. 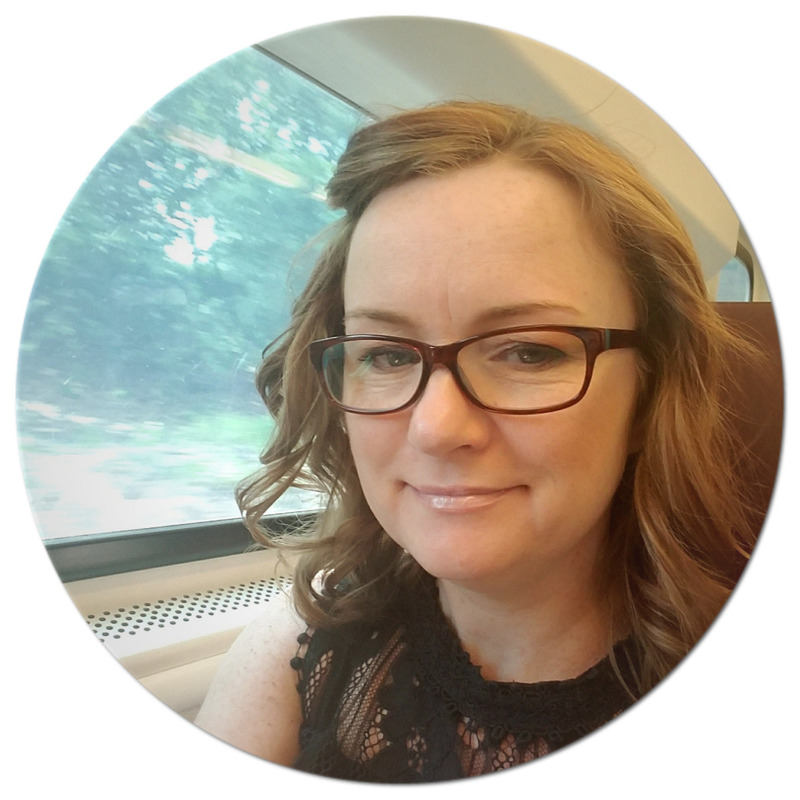 About the author: Alix Christie was born in California, spent her childhood summers in British Columbia’s Okanagan Valley, and has lived in Paris, San Francisco, and Berlin. 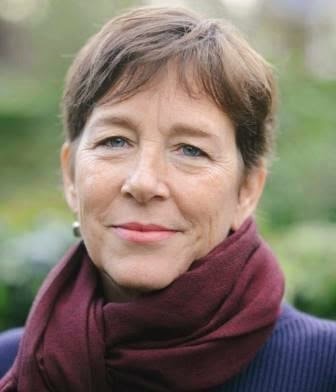 She has been a widely published journalist for thirty years, with work featured in the Washington Post, the International Herald Tribune, The Guardian, Salon, and the San Francisco Chronicle. Her short fiction has been published by Southwest Review and Other Voices. A letterpress printer since her youth, Alix Christie currently lives in London, where she reviews books and the arts for The Economist. 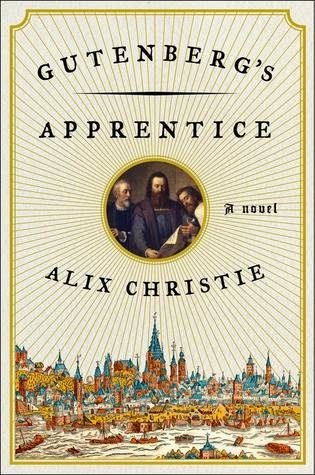 To see who else is participating in Alix Christie's Gutenberg's Apprentice tour, click here.